Newcastle disease is a viral disease that is contagious and spreads rapidly. It can affect most of birds wild and domestic and of all age groups. 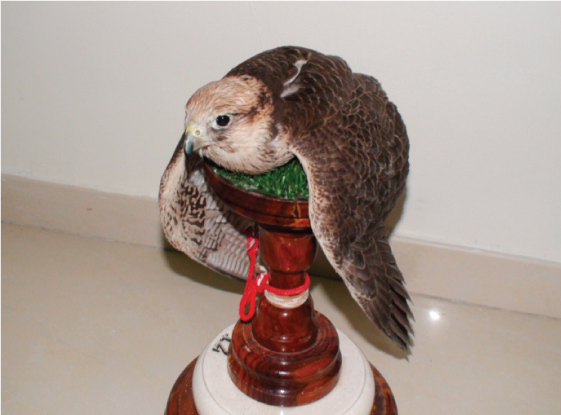 Locally among falconers it is known as ‘Epilepsy’ disease. Direct contact between healthy and sick birds. Using infected birds to feed or to train your falcon. The use of contaminated instruments or equipment or even handling infected food. 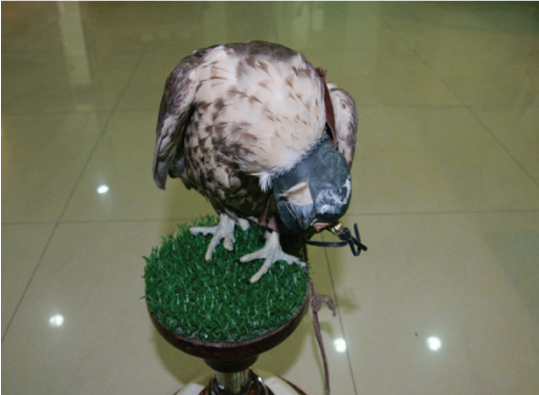 The falconer – contaminated hands or clothes, by handling many birds at a time and therefore carrying the virus from infected to healthy falcons. Neurological symptoms: This may include twisting or shaking movements of the head, paralysis of legs and the wings, sometimes all at the same time. Digestive symptoms: weakness and loss of appetite and sometimes associated with greenish diarrhoea and vomiting. Inflammation of the eye, hoarseness of the voice, discharges from the nostrils. Death, which is the ultimate fate to most of the cases infected by Newcastle Disease. Physical symptoms as mentioned above. Laboratory investigations and isolation of the virus. Currently there is no available cure. Annual vaccination against the disease. Checking live birds that are given as food to the falcons especially pigeons as they have a high rate of infection with this virus. Regular health checks for the falcons to make sure that they are healthy. 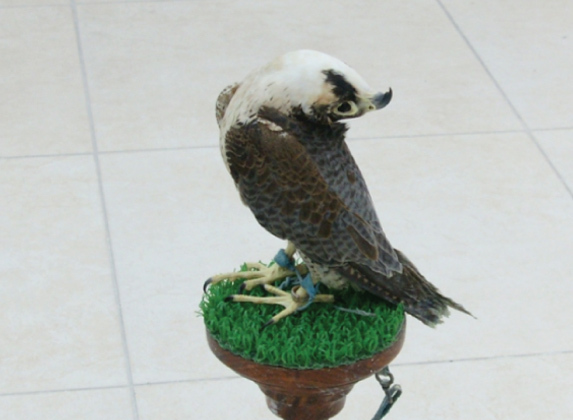 Thorough examination of imported falcons before letting them into cages with healthy falcons. Do not put the suspected infected falcons with the healthy falcons, and avoid using the same instruments or equipment to prevent the spread of the disease. Keep falcons at a distant from other birds. Isolate completely any infected falcon with Newcastle disease and preferably put it to sleep. The use of individual instruments and equipment to every falcon. In case of keeping the infected falcon under care, it should be managed by one person only. If only person is available to care for all falcons then the healthy falcons should be cared for first then the infected ones. Washing hands, changing clothes and the use of disinfectants is mandatory in dealing with both.